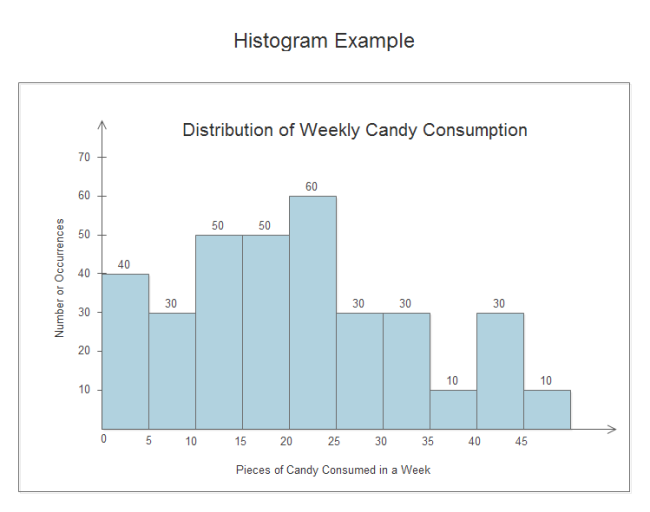 Quickly and easily design histograms from ready-to-use templates in minutes. An easy histogram maker helps you design unique histogram faster than ever. This template is suitable for presenting distribution among a week. You can customize this template for any use. Unlike MS PowerPoint whose text box and shapes are separate, Edraw's attached text box acts as a property of the shape and moves in tandem with that shape. 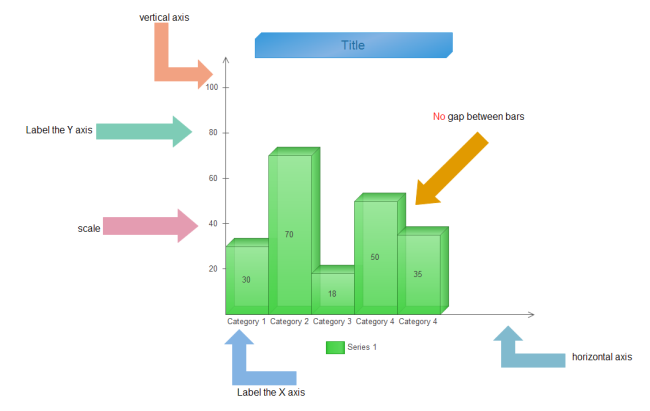 What is more, in this template, the shape will change automatically right after you alter the data. See more amazing features of Edraw in Comparison of Microsoft Visio VS Edraw. 3D shapes form a better visualization. This is a quite succinct histogram with a guide about how to use it. If you need more detailed information, add a text box besides the histogram and inert description. Try Edraw histogram maker to make more histograms of your own styles.